T he Immortal Red Baron is a theatrical air show performance about the most famous fighter pilot in history. This new approach to entertainment in aviation combines narrative story-telling with live-action aerial dog fighting maneuvers, characters in authentic costumes, propane machine guns, as well as special themed music and sound effects. 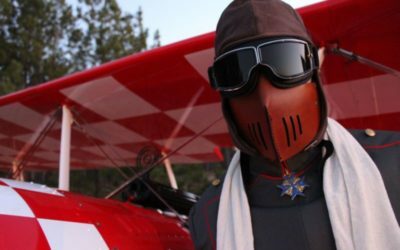 The Immortal Red Baron must always be prepared and on the lookout for the enemy. Sure enjoyed your show. Beautiful airplane, great act, and super show all around!! 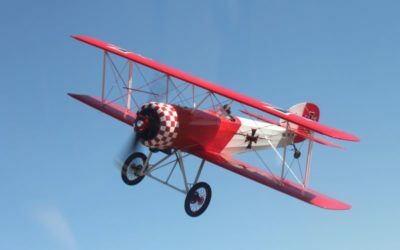 The Immortal Red Baron will be at Sun' N Fun on April 6-7, 2019- Lakeland, Florida. Can't wait to see you all there. You may be one of the lucky Airshow Fans who can try and shoot me down. We all know that will not happen though!! 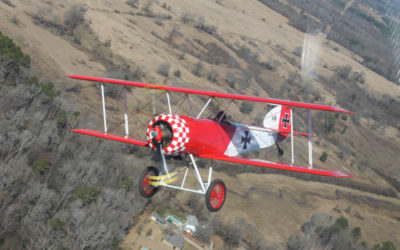 The Immortal Red Baron will be at the Angelina Airfest Airshow September 27-28, 2019. Hope to see you all there. Here is a high quality video of my dogfight at Sun ‘n Fun 2019. Had a blast! Thank you!